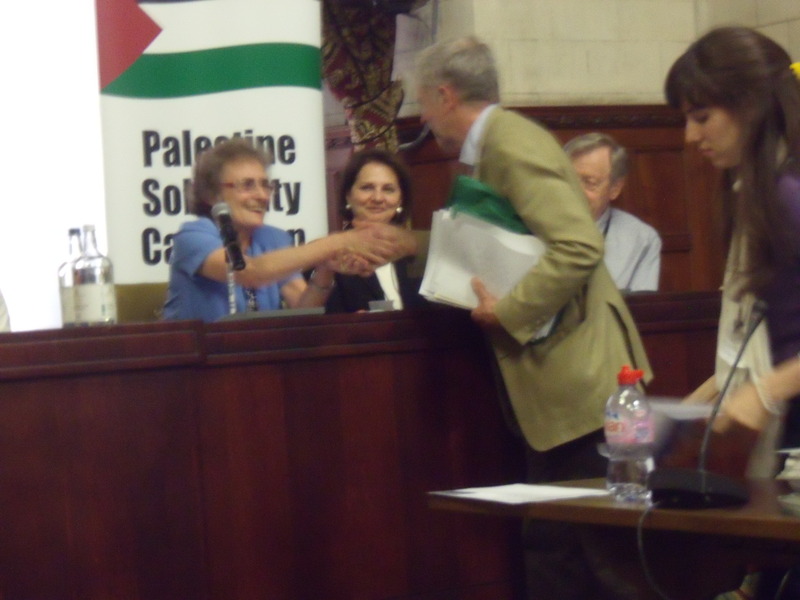 This entry was posted in Israel, UK and tagged ben white, Diana Neslen, fatah, hamas, Hind Khoury, Ismail Patel, Israel, jeremy corbyn, jerusalem, Lord Alf Dubs, Manuel Hassassian, palestine solidarity campaign, PSC, Richard Burden, Sabeel, Sarah Colborne, Sheikh Raed Salah, the Holocaust, Yasmin Qureshi. Bookmark the permalink. This Anti-semitic thing is a very complex business. 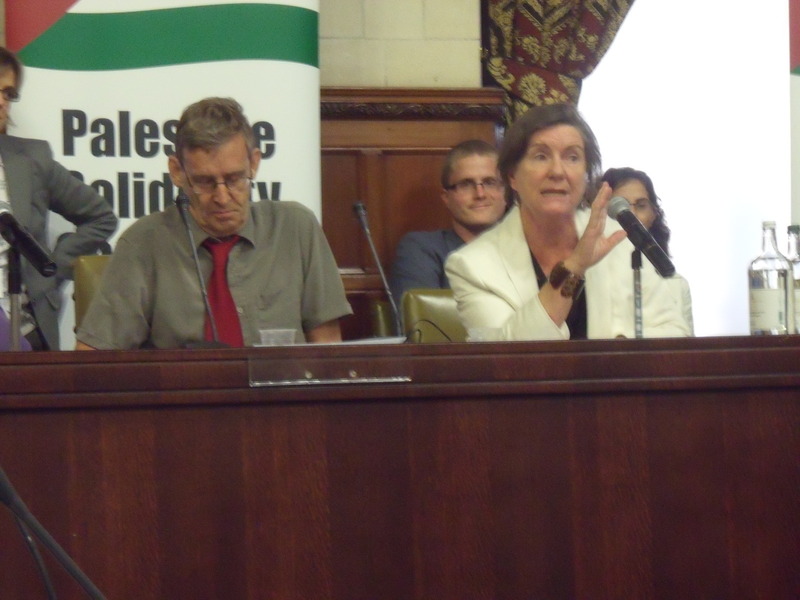 I think you’re being far to hard on poor old Sheikh Raed Salah I read that on saturday’s mondays tuesday’s and wednesday’s he never say’s anything bad about Jews but just Zionist’s.So you see the Labour and lib-Dem MP’s would have had nothing to be ashamed about,at least not last night. Same with conway hall and the night he slipped in to the UK. Dubs was convinced – on no evidence whatsoever – that those two boys had done nothing wrong! 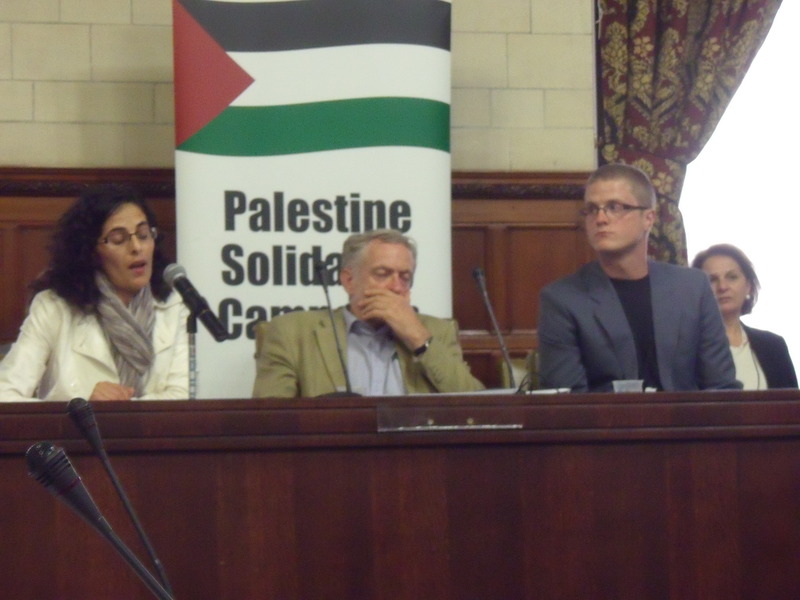 Corbyn is a total hypocrite – he began the meeting by saying “All on this Panel abhor racism of any kind”! 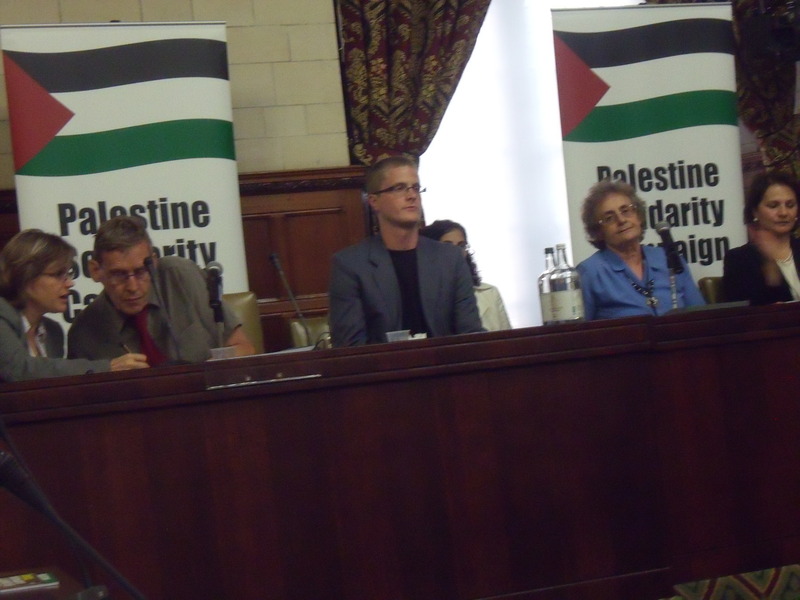 Time for the speaker to ban these meetings from Parliament – it is glaring hypocrisy to have an Antisemitism Committee of MPs but at the same time to turn a blind eye to this sewage. Is there still a Nazi party she can join? She can form her own along with the not-so great and good of Friends of Sabeel UK (I think the BNP would be too left wing for her). What’s wrong with her joining the Brownshirt (aka Green) party? I have no idea how Hind fits in to the puzzle, but the Khoury’s are an interesting family. Elias Khoury is a prominent Israeli Christian Arab lawyer who was also Arafat’s advisor on Christian affairs. He lost two sons to the Arab Israeli conflict both killed by his Palestinian brothers who were hoping to murder Jews. Daoud was killed when a booby-trapped refrigerator exploded in Zion Square and years later George who went jogging in French Hill, was mistaken for a settler and shot dead by Arafat’s Aqsa Martyrs Brigade. In fairness Arafat was kind enough to apologize to his friend Elias and was even gracious enough declare George to be a martyr. George had been a student of my wife and was an exceptional student and sportsman, she liked him very much. The Anglican headmaster of the school had a tree planted in memory of George and explained to the children that they should not be focusing on who is responsible and who isn’t. Another idiot explained that George was a “victim of the conflict” – yup, we’re always responsible even when they’re killing each other. Under the tree is a small plaque that just says, “In memory of George Khoury who died on March 19, 2004” He wasn’t murdered, he wasn’t even killed, he merely “died”. Silly man. Could he have meant: “All on this Panel adore racism of a certain kind”? Well done, Richard – a superb piece of journalism! 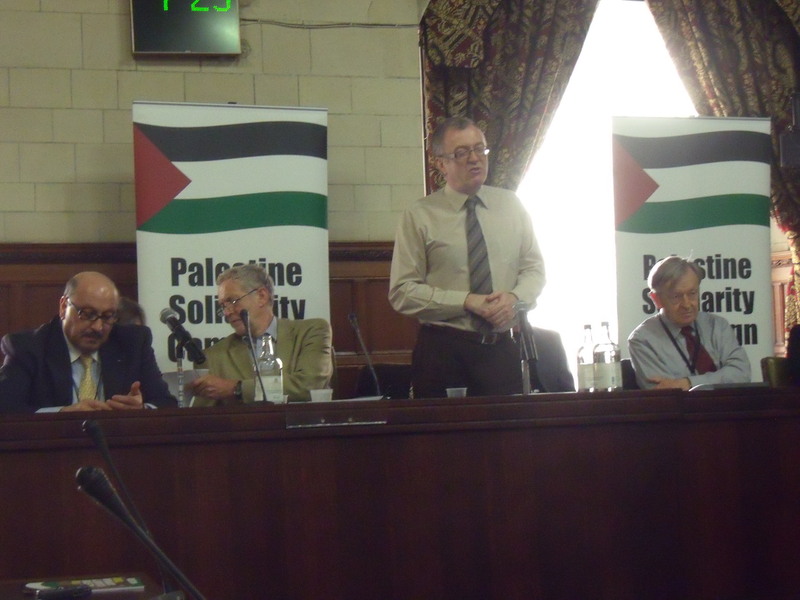 It is high time we stopped anti-Zionists from being able to get away with saying they are also anti-racists. Whether Jews or Gentiles, such people cannot bear that the State of Israel can defend itself – and that’s racist enough for me! Richard, as a number of people have already stated – a brilliant piece of journalism and thank you for keeping us so well informed. 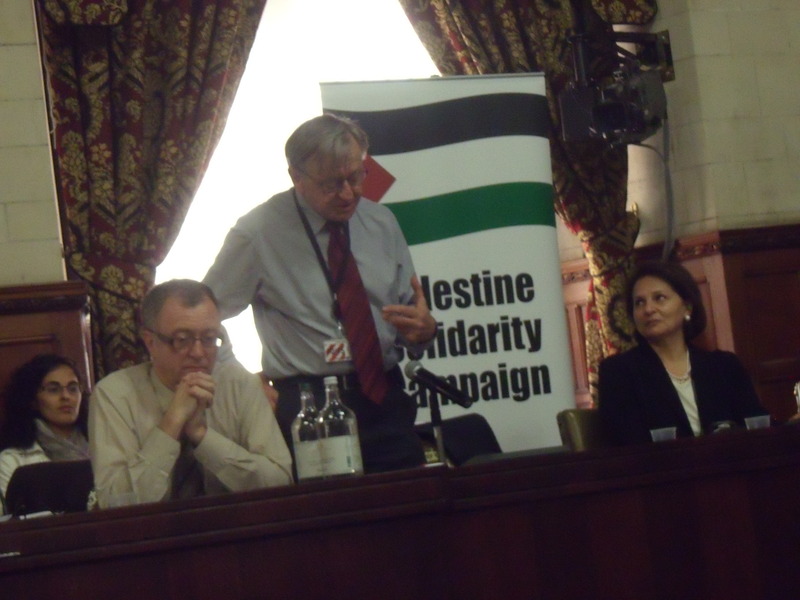 Yasmin Qureshi was complaining that Israel is trying to “Judaise Jerusalem”? I think that horse left the stable about 3,000 years ago. Richard you get better and better – well done and thank you for being our eyes and our voices. As for that dreadful thing called Tong(u)e, she would do us all a favour if she resigned completely from appearing anyhere we have to suffer her supercillious verbage! Surely she has reached the age to collect her bus pass and her weekly sum from our taxes so she can tend her roses?! As for Sallah – he is a well know agitatr and traitor in Israel. The law of our land is still English law – it is not yet totally replaced by Sharia much as some would like. That law says that the HOme Secetary decides whom to ban from entry. Who are these traitors parading as MP’s who think they have managed to replace the law with Sharia dictatorship? Theresa May has every right to weigh up the balance of our security against the right of a foreign national to enter our country. This time the Home Secretry made the right decision – its a pity her immigration officers and police force are so inept or biased so as to not carry out the law. They shoud instantly be arrested and tried for treason together with those who knew of his illegal entry and entertained his presence.